Bethesda and Fantasy Flight Games are teaming up to create an official Fallout board game that will release alter this year. 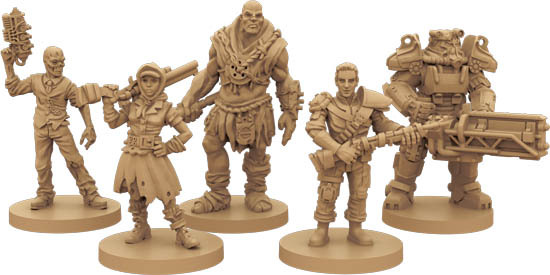 If you're ever wanted to bring the Wasteland to your tabletop gaming world, you're going to get your chance later this year. 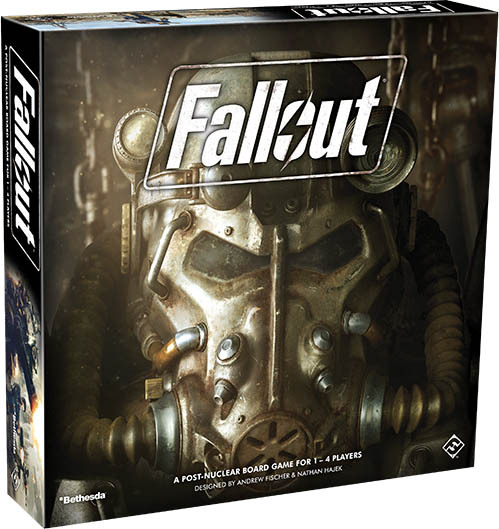 Fantasy Flight Games has announced that it is creating an official Fallout board game that will release later this year. 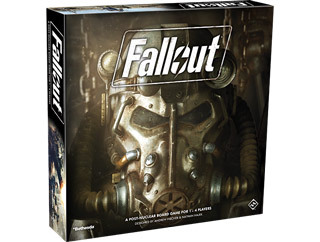 Fantasy Flight's official description reads, "In Fallout, one to four players take on a role within an irradiated landscape inspired by those in Fallout 3, Fallout 4, and their downloadable content expansions. With just a few locations pinpointed on their map, the players choose whether to work together or individually to explore these mysterious regions that lay before them. Along the way, each player will face a wealth of choices, deciding whether to pursue experience or Caps, collect loot or loyal companions, and progress the main questline or veer off to the vaults. 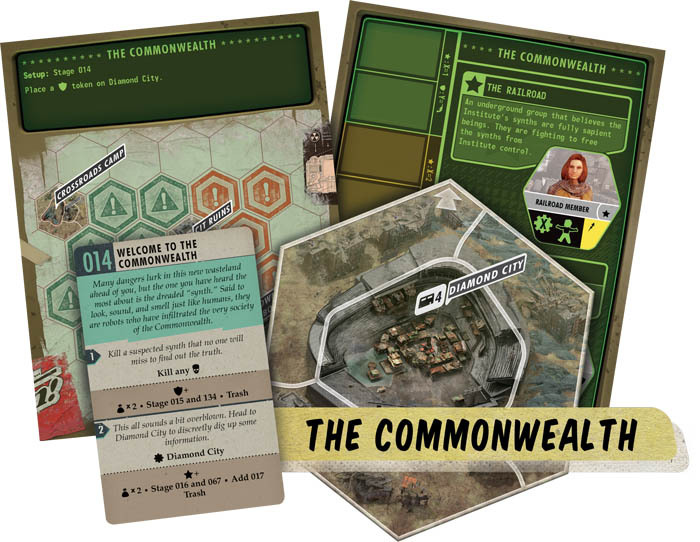 As the players move around the board, building their skills and filling their inventory, the area's warring factions will gain power, forcing the players to pledge loyalty or defy conformity, all in pursuit of gaining the most influence of anyone else in the wasteland." You'll be able to play with up to four players, each playing as one of five different explorers. You could choose to play as a Super Mutant, a Ghoul, or even a member of the Brotherhood of Steel. Players will need to choose to work together to explore the Wasteland, or go it alone. There are factions to appease, quests to complete, and enemies to defeat. There's no specific release date for the new board game outside of Q4 2017, but we do know that it will cost $59. You can find all the info in the official announcement over on the Fantasy Flight website. I would buy this in a heartbeat if it was based on Black Isle's/Obsidian's Fallout instead of Bethesda's. They should just make that. Hell, Fallout was originally designed essentially as a tabletop RPG using modified GURPS. Isnt there already a tabeltop Fallout? Kinda. Fallout: Tactics shipped with a PDF rulebook for a game called Fallout: Warfare, but it was more a traditional tabletop wargame than a board game. The Nukapedia article for Warfare even has a link to the full rulebook. There is, just not an official one. Kinda disappointed it isn't like their Star Wars system. Having a system like that but for Fallout would be fantastic. Since this is an FF game an entire forest will have to die for each box, so it'd better be good. Looking at the 'artwork' of some of those cards. Bleh. Models are nice, but Christ. Compare it to the upcoming artwork on the LCG Legend of the Five Rings coming out soon. Models are nice, don't get me wrong... but hardened chip counters with nicer card art would have been preferable. Assuming this is going to have some deckbuilding aspects ala their phenomenal Arkham Horror, with similar systems of exploration and team work (or individual investigation), comparing it to said game of AH some of these components look down right sloppy. 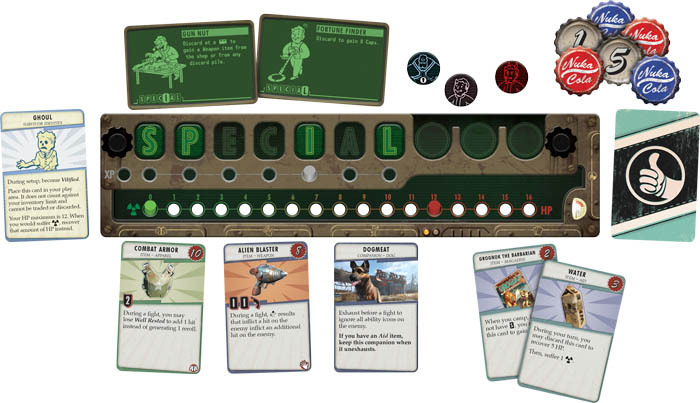 There is an official Fallout tabletop wargame coming out, miniatures and all. They may delve in to those with expansions, but I don't ind the setting. Was probably part of the deal with getting the license, they had to include Bethesda's last two games. A clever mind may find a way to homebrew it. OT: Well, I know what I'm spending my money on. Yes, I do mean this game.